**Other discounts are not eligible with the case quantity price. 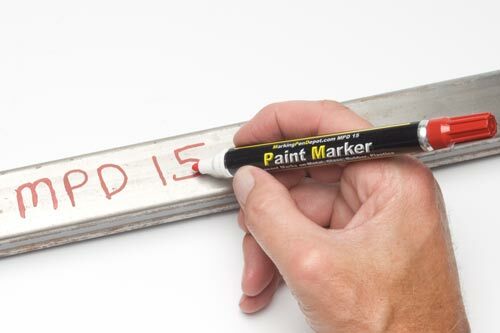 MPD 15 Low Cost Paint Pen is ideal for the large manufacturing facilities. Great prices, colors, UV stable, and 40% more paint than others (10 ml's). MPD Low Cost Paint Pens offer excellent performance on all metals (including oily), rubber, plastics, wood, glass, concrete, fabric, nearly everything! Used by large users such as TRW, CRH North America, Eiberspachen, Automodular, GM Powertrain, Phoenix Quality, Unistress, Auto Logistics, Toyota, Manheim Auto Auction, Your Auction, and hundreds of others. 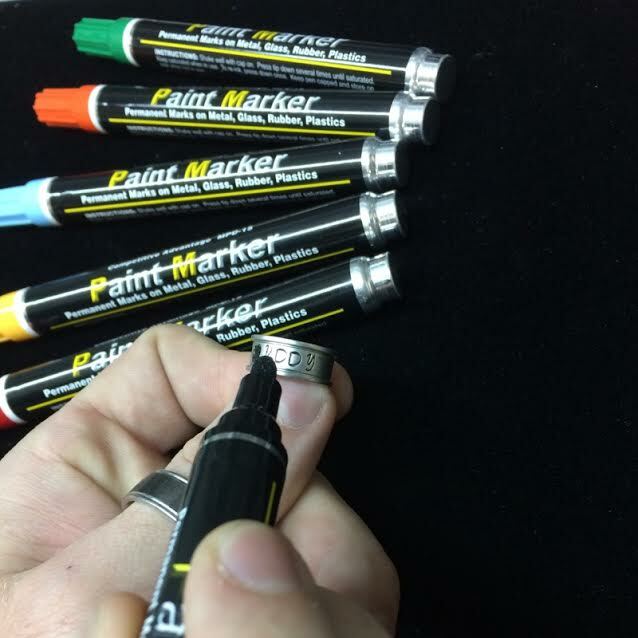 MPD Low Cost Paint Pens have become the marker of choice in the logistics and inspection industry. People sometimes ask: Why is the MPD 15 so inexpensive? The filling machine below is just one of the reasons. The MPD filling machine can fill up to 48,000 markers in a single day! Not only is it capable of high production rates but can quickly be changed over to make as few as 144 pieces of a specialty color such as Matt Black.
! !$$ Money Saving Ideas From MarkingPenDepot ! !$$ Test Samples Available. We request samples for testing versus the xylene based marker we were using and were very pleased with the performance. We were spending $2.45 each for markers and now purchase the MPD for just $1.15 each. And they have the same amount of paint! We now have two plants using this marker and saving over $40,000 per year. We buy 8 colors every month for color coding automotive parts. We're a Manufacturing Company and we use these to mark our material and various parts. Works very well and for this price it's awesome. We used to pay over $3 each.